General FAQs, Grills, Smokers & Wood Chips, What's Hot? YES! Napoleon has hit Singapore! I’m really stoked that we’ve finally brought Napoleon to Singapore because we’ve been using our Masport Maestro Deluxe gas grill for almost 5 years now, and I think it’s time to retire it (it’s still in great working condition even though I’m really lazy when it comes to maintenance). I have to say that they really had me sold on the whole infrared sizzle zone concept. This isn’t new technology. I say this because the original infrared cooking actually derives from the concept of burning charcoal, where you would have all those glowing red bits on the charcoal, instead you get 10,000 tiny little ports with tiny little flames on each burner. So really, similar cooking method to charcoal, but less mess. Hooray! 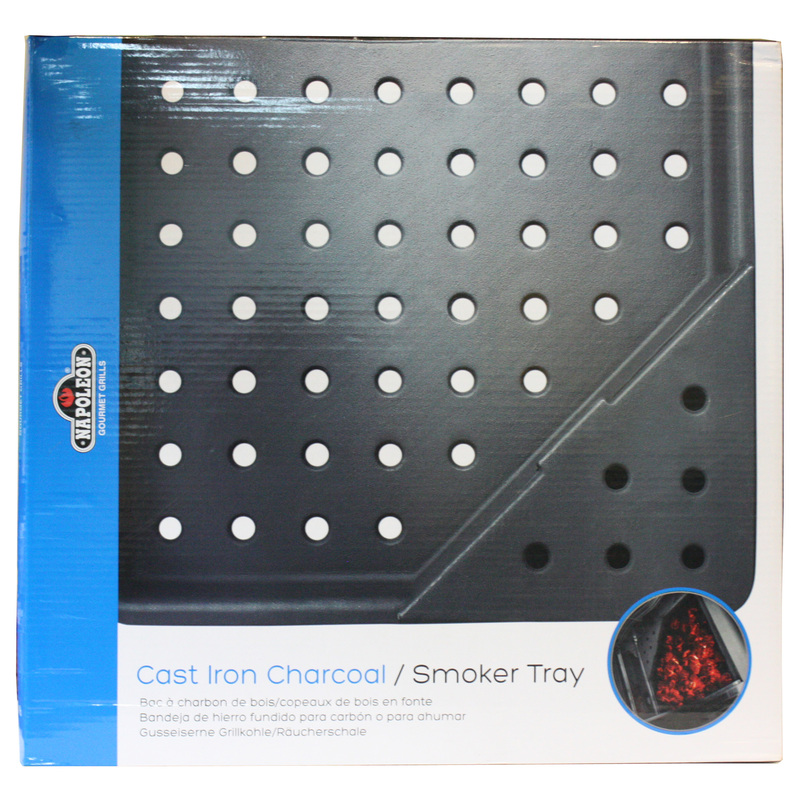 There are lots of other features on the Napoleon LEX485, but what really caught my attention is this accessory you can get called the Napoleon Charcoal Smoker Tray. Lots of customers come in and they ask, “hey, can I put charcoal inside my gas barbecue?” The answer is NO! 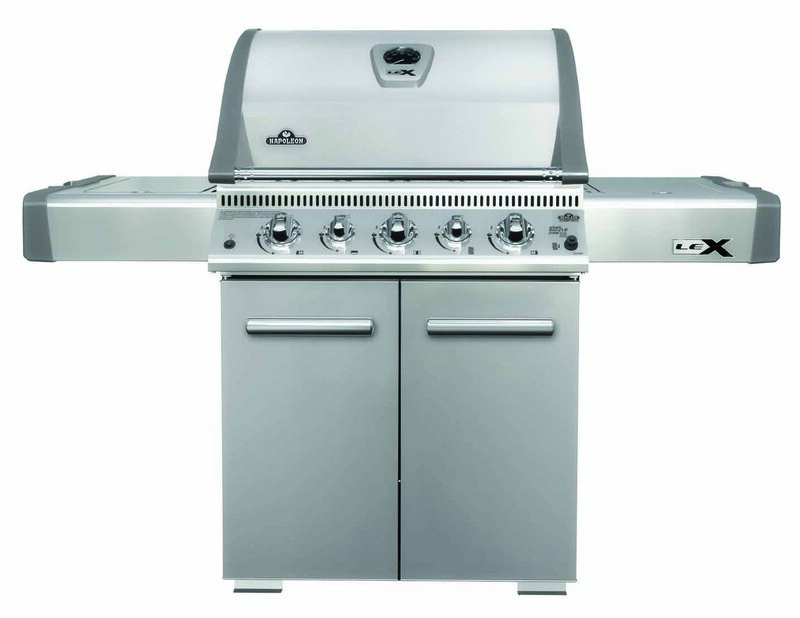 Gas barbecues are built to take that kind of heat. Don’t confuse Lava rocks with charcoal. Lava rocks heat up, charcoal sets on fire! Anyway, let’s continue. 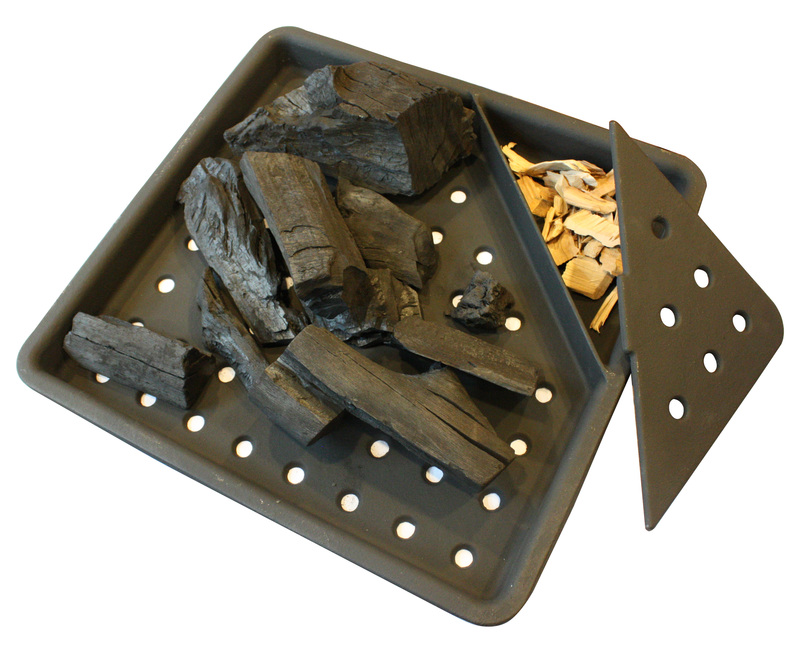 The Charcoal Tray is a brilliant way you can convert your gas barbecue into a charcoal one, simply by placing the tray above the burner (without the flame tamers) and adding in the charcoal. You’d light them simply by switching on your burner and leaving it for about 5 minutes, then switch it off (but leave the hood open the whole time). You can even add woodchips to the mix because it’s got a triangular slot on one corner with holes in them. This tray is made of cast iron, so it’s sturdy and takes heat really well.